Are you all ready for the trick or treaters? I will be later today... after I get the candy!! :) I am usually ahead of the game and have it all ready by yesterday, but I just didn't worry about it. So, off to the store (or Costco) today. I live in a large neighborhood, so I am expecting quite a crowd. But enough of that! 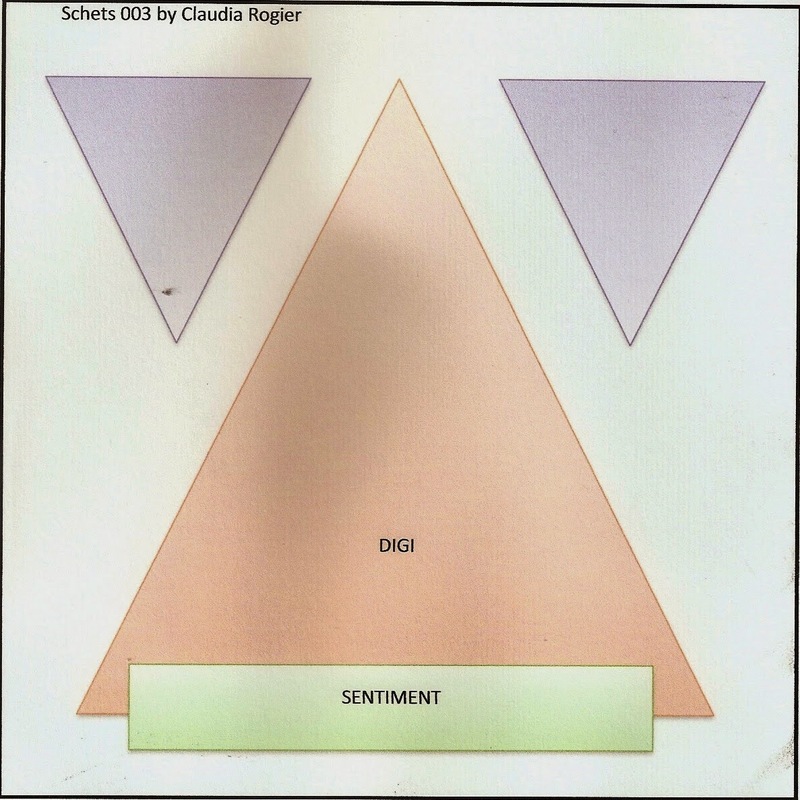 It's another Friday Sketch Challenge for you and it is brought to you by Gea. You still have another week to play along, so be sure to link up for your chance to win! For the image, I used my Copics to color and pretty much followed the sketch. I used some patterned paper from my scrap stash and made this a smaller long card. I like to make random size cards here and there. No rhyme or reason... just whatever looks good. Strange, isn't it? :) I finished the card with some rhinestones and fun vine ribbon which I highlighted with some twine, a button, and a few leaves cut out from MFT's dienamics of falling leaves. We hope you play along a look forward to your creation! Thanks for popping in! I had an opportunity to play with The Cat's Pajamas Slider die set to make this fun interactive Christmas card for my father in law using the Best Fishes set. I think this set is so much fun and great for the fisherman in your life. The sentiment is perfect and I can't wait to send it to him. I started with a heavy weight cardstock base and some patterned paper from Lawn Fawn's Snowy Day collection. I stamped the image on another piece of cardstock to be cut out and paper pieced his scarf with some coordinating patterned paper. The card was finished with some bling, button, twine, and some box pleated ribbon. For some additional sparkly, I colored the fish with some Wink of Stella in clear. This turned out better than I thought it might, so I have to say I am pleased. Things in my head don't necessarily play out well on paper. :) Thanks so much for popping in and have a great Wednesday! It's time for another Party Time Tuesday Challenge and the announcement of last weeks winner! Head on over to the blog to see if you may be the next winner of a Really Reasonably Ribbon gift certificate! My card is one using a super cute Saturated Canary image called Ellie's Birthday colored in with Copics. Once colored, I fussy cut her out and popped her up on my embossed layered. The patterned paper is some from Amy Tangerine and the embossing folder is one from Lifestyle Crafts. I used a sentiment from YNS Handwritten Sentiments bannered off to the side and popped up. The card was finished with some box pleated ribbon, paper flower, twine, and some rhinestones. I really liked how she turned out and perfect for a little girl's birthday! Thanks so much for popping in! Using the current challenge sketch, I used Video Game Ethan paired with Echo Parks' collection of That's My Boy patterned paper. I colored the image with Copics while the banners and main image were popped up. Some metal self adhesive dots finished the look. If you haven't seen or checked out YNS newest release, you must! Especially while they are still on sale! There are some fun and whimsical holiday stamps that are sure to please all. 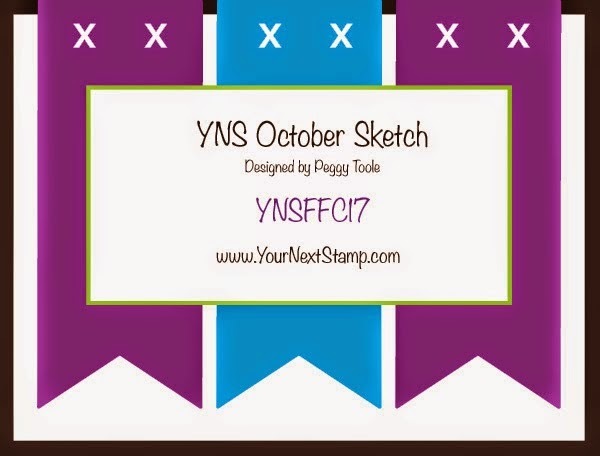 And don't forget to play along and link up your fabulous creation in the current YNS challenge! Thanks for popping in today and leaving your kind comments! Have you checked out the NEW Your Next Stamp website? It's fabulous and while you are there, check out the blog to see more fun projects made by the DT with this new release and a chance to win a stamp set of your choice! For this card, I made it an easel card using the set Waddles. This set is just too cute. Using a large die from one of MFT's Stax, I embossed the cs and used my craft knife to just cut where I wanted the pop up. I then used my score board to score the ends to be folded. The patterned paper is from Basic Grey 25th and Pine collection and the card was finished with some ribbon, twine, and button. The inside is finished with plenty of room to write a personal message. Thanks for stopping by this rainy day, (here it is at least!) and don't forget to head to the YNS blog! Welcome to another fun and fabulous new release at Your Next Stamp! Not only is there a new release of fun products, but have you seen the new site?! Isn't it fun?! This release has so many fun holiday images and coordinating dies, it will be hard not to get them all to make tags, cards, party items, etc. 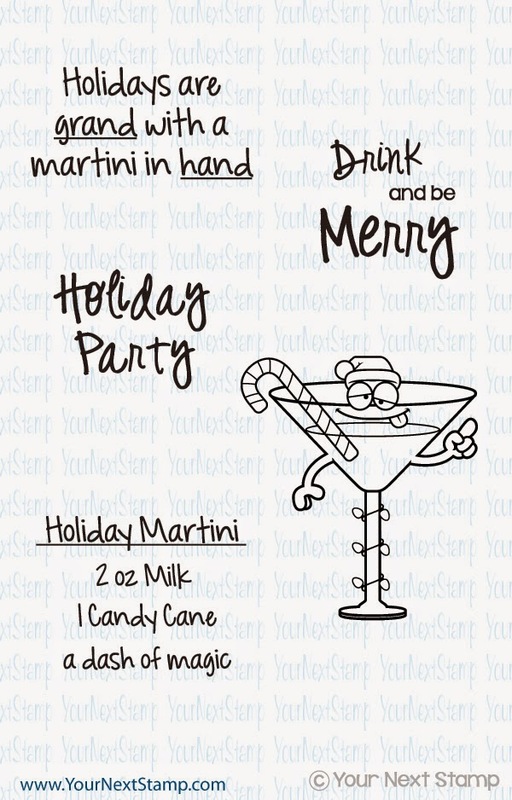 I am personally looking forward to making some tags with some of these images and my favorite being Holiday Martini. This image makes me giggle! I can see some fun tags being made with him whilst some of the other images will be perfect for a more traditional, cute cards/tags. My first card is one made with Seasonal Sweeties. Goodness! This is just packed with cuteness! I colored the image with Copics and used some fun patterned paper from MME Winter Wonderland. Using my scallop border punch, I made the bottom border piece with some coordinating paper before popping the image up. The card was finished with some gold ribbon and a touch of rhinestones at the bottom. Apple martinis were apparently on my mind when coloring this image! He is colored with Copics and cut out to be popped up. The patterned papers are from Lily Bee Designs and I used some pinking shears for the bottom layer. A ribbon and some rhinestones finished off this fun card. We hope you continue to hop along to see all the fabulous creations the DT have made, along with our guest designers. 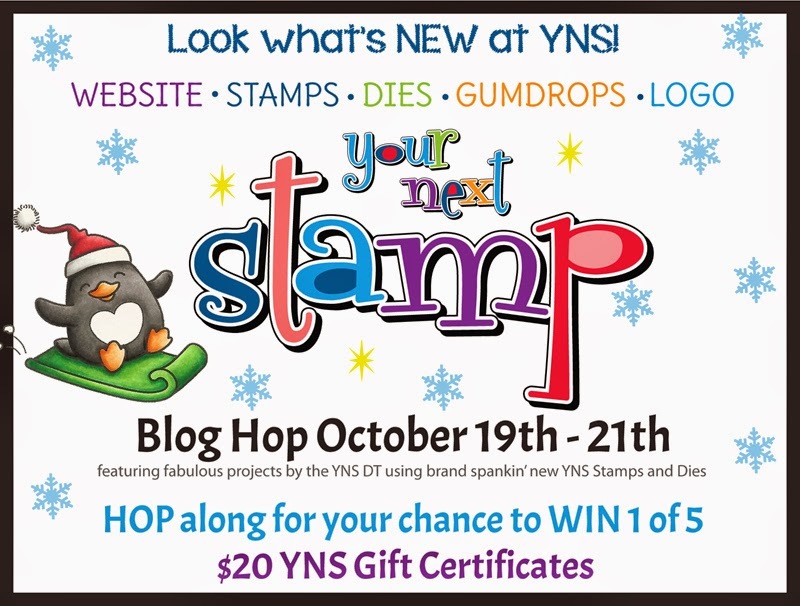 5 random winners will receive $20 to spend in the YNS Store – prizes are randomly placed amongst all the blogs – comment for more chances to WIN! Thank you so much for stopping by and don't forget to leave a comment! Whether you win or not, your comments are always appreciated. Have a great Sunday! 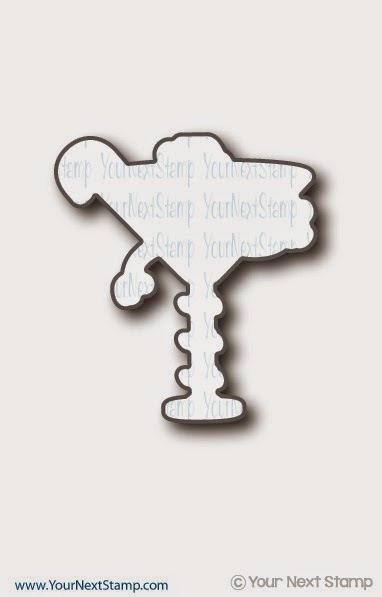 Your Next Stamp October Release Sneak Peek! It's that time of the month when it's a new release! This months release with Your Next Stamp has so many fun images, dies, AND a new website to launch as well! We are all excited to share with you all in store for YNS. This darling image is called Waddles. For this card, I used some patterned paper from Bo Bunny called Snowy Day. I love the blues, purples, and greens in this scheme and I thought it was perfect for this image. 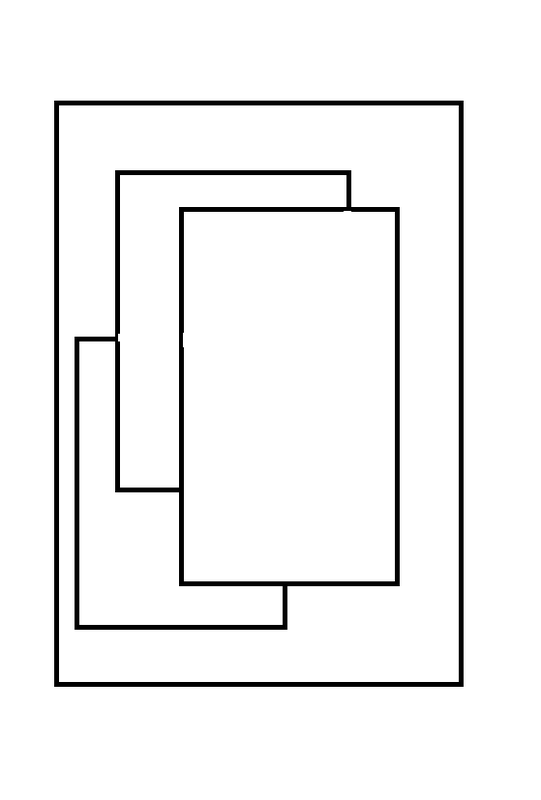 I also made this card to be a long and lean style. 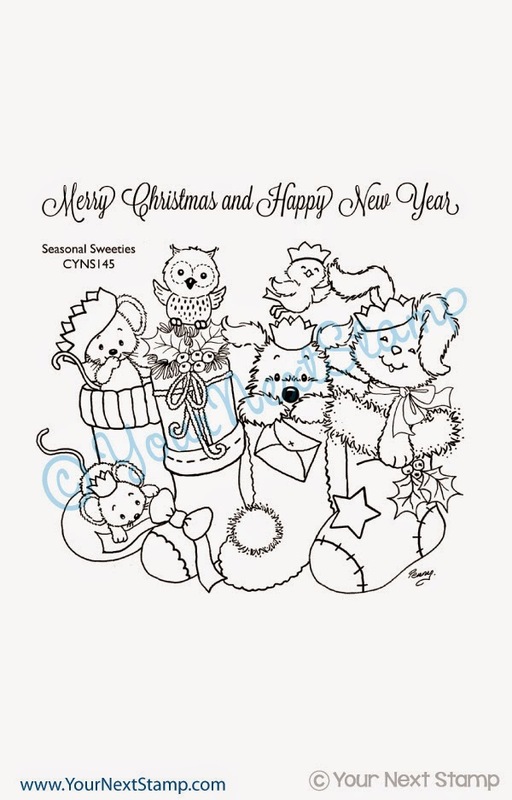 The image was colored in with Copics, fussy cut to be popped up over the YNS Open Scallop die set. The sentiment was stamped and cut into a fishtail to be popped at the top of the card. I finished the card with some deep purple ribbon and rhinestones. Don't forget to check out the other fabulous sneak peeks from the DT and get ready to hop along with us tomorrow for some fun and prizes so be sure to stop by the YNS blog to start! Today is a new Friday Sketch Challenge and it is one of a sketch I created. I think it's a fun one and one you can think outside the box to create something unique. For this card, I used Lawn Fawn's #awesome and coordinating #awesome lawn cuts. I think this set is just so much fun and great for older kids. Social media is what it is all about. The frame was cut out using Lawn Fawn's Say Cheese lawn cuts and the patterned paper used is MME Miss. Caroline. 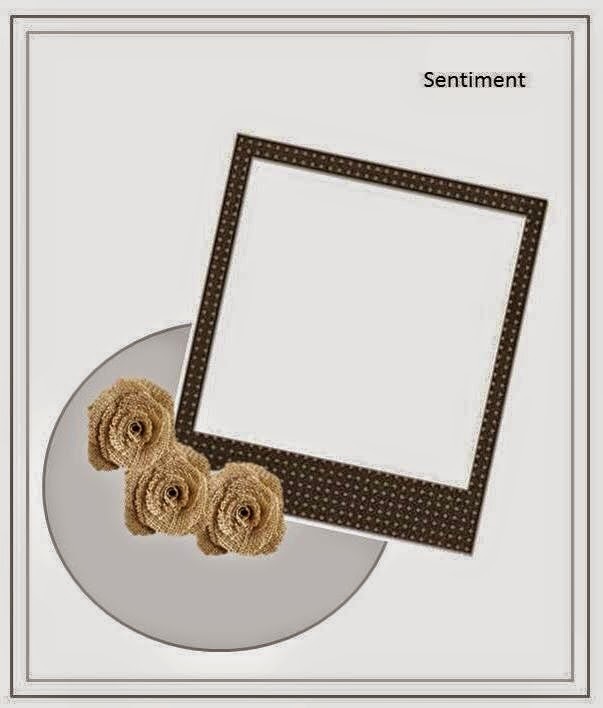 I added a white panel to the back of the frame to stamp the sentiments before popping them up. The media icons were stamped and cut out on some scrap paper in their respective colors and the card was finished with some rhinestones. I really liked how this turned out. Check out the current challenge and play along! Thanks for stopping by and have a great Friday! I hope you all had a great long weekend and look forward to a short week ahead. Today launches a new Party Time Tuesday Challenge blog and guidelines to play along. You definitely want to check it out and we certainly want you to create and upload! We want to see all your fabulous creations. I would like to share with you a creation using the fun MFT Die-namics border of Scattered Stars and the super cute Your Next Stamp Scripty Words die. Thanks so much for popping in and don't forget to check out Party Time Tuesday!! Just a quick fun card to share with you all today for Your Next Stamp's Friday Fun Project using the very fun set of Tea-riffic. I am a coffee lover and when I get those few spare moments of peace, (HA!) I love to read, so this set is perfect! Thanks so much for stopping in and hope you all have a fun and safe holiday weekend! I have an adorable image to share with you today from All Dressed Up paired with the final week of Sketch 79 over at Friday Sketch Challenge made by Claudia. This is image is called Mummy and it is darling! I colored in the image with Copics and used some fun patterned paper from Doodlebug & Co. from last year called Haunted Manor. Spiders were punched out using my MS punch in place of the upper triangles and popped them up with some paper twine as its web. The sentiment is a very old, very retired sentiment from A*Muse stamps. Super fun sketch to play along with! We do hope you come and link up. Thanks so much for popping in and taking a peek. Have a great Friday!